Ben Supnik has posted an article concerning anti-aliasing in the upcoming X-Plane 10 on the X-Plane Developer Blog. New preview pictures have been posted from the freeware Congonhas-São Paulo Airport (SBSP) project for FSX. Just Flight has posted first details from the upcoming Boeing 757 for FSX. View preview video at YouTube. Orbx has posted more agriculture class texture previews from the upcoming FTX New Zealand South for FSX. FranceVFR is offering a free product of your choice with purchase of another item. September 24 to October 2, 2011. Oryx Simulation has released Kelowna X - Kelowna International Airport (CYLW) for FSX. Now available at SimMarket. - 25 cm/pixel base texture. - A variety of static aircraft, including Cessna's, Piper Cubs, and more! - Realistic skidmarks as well as cracks on the runway. - Special version for compatibility with Orbx's Northern Rocky Mountains region included! New in FsFuel version 3 - be equipped for a long haul: en-route alternates, ETOPS, critical fuel scenarios, equal time points and much more. The Layernet Airport Simulator is now available to purchase at the feelThere Website. Blue Sky Scenery has released Route 66, Part 4: Kingman (KIGM), Hualapai Mountains North for FSX and FS2004. Simon Hoetzinger has adapted Marco Fischbach's freeware HD Moon Textures to FS2004. Download at AVSIM. Art Poole has released the freeware Jacksonville International Airport (KJAX) for FSX. Download at AVSIM. Leading Edge Simulations has posted another development render from the Douglas DC-3 for X-Plane. New screenshots have been posted from the upcoming Lockheed Martin F-35 Lightning II for X-Plane. Samdim has posted more preview pictures from the upcoming Majestic Software Dash 8 Q400 for FSX. Oryx Simulation has posted the official preview to the soon to be released Kelowna X (CYLW) for FSX. EF-1 Simpit footage of the IRIS Christen Eagle II for FSX has been posted on YouTube. Orbx is offering a 15% off pre-pay special on the upcoming Anacortes Airport (74S) scenery for FSX. 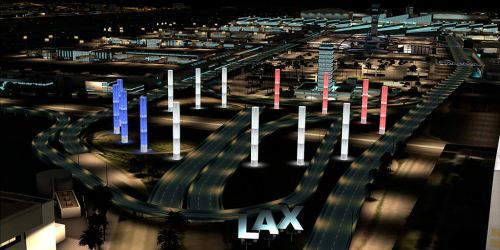 FSDreamTeam (FSDT) has updated Los Angeles International Airport (KLAX) for FSX to version 1.1. The Bear Studios Mikoyan-Gurevich MiG-15 for FSX and FS2004 has been updated to Service Pack 4. Rework system logics based on J-10`s system technology. Rework gauges to fit changes in models and animations. Remove 2d panel, totally in VC spot. Change weapon payload system and control logics. 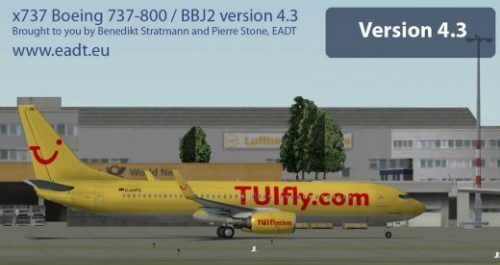 Slovenia Scenery Team (SST) has released upgrade1 to Slovenia for FSX. More information at the SST Website. Aerosoft is offering 20% off on major holiday destinations in this weekends sale. Valid thru Septembet 26th 2011. The freeware Marathon Hydrobase (LGMR) for X-Plane is now available to download at the XPFR website. Igor Darashkevich has compiled an all-in-one livery package to the Tupolev Tu-144 for FS2004 by Nikita Konstantinov. More development screenshots have been posted from the Let L-410 Turbolet project for X-Plane. Aubrey has posted new previews of the pilots, crew and passengers from the MD-902 Explorer for X-Plane. 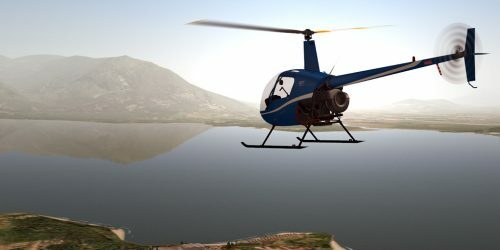 Another beta screenshot has been posted from the Dreamfoil Creations Robinson R22 for X-Plane. The first gameplay videos from the beta version of Take On Helicopters can be viewed at YouTube. Navigraph NAVData AIRAC Cycle 1110 is now available for purchase at Navigraph or SimMarket. Laurent Deidda has released the Dassault/Dornier Alpha Jet French Patrol and Military for FSX at SimMarket. external and internal models have many animations. 3D animated gauges. 2D and functional switches. Optimized to fly solo as in training. surround sound engine in virtual cockpit mode from real AlphaJet. This version has been designed as close to the real model. TropicalSim has released the 9 European Airports Pack for FSX and FS2004. Details and purchase at SimMarket. Synchro-Soft has released the de Havilland DHC-6 Twin Otter V2 Soundset for FSX. Details at SimMarket. FSBreak episode 98: Microsoft Flight, Macs, and Maths... And legos too at the FSBreak Website. Orbx has posted new preview images from the upcoming Anacortes Airport (74S) for FSX. Freeware Weather AddOn FSrealWX v0.16.1241 Beta for FSX and FS2004. Details and download at RS-Transline. Enigma Simulations has posted a visual effect test video from the upcoming Boeing 737-300 for FSX. Drzewiecki Design has posted the first preview render of the terminal from the upcoming Kraków Balice 2011 (EPKK). Carenado has posted new preview renders from the upcoming Piper P46T Malibu for FSX. Aerosoft has released the completely reworked version 2 of Mega Airport Budapest (LHBP) for FSX. Thai Creation and A_A Sceneries have joined forces to form Asian Airport Design. The first picture from Macau International Airport (VMMC) for FSX has been posted on Facebook. The freeware Yanji Chaoyangchuan Airport (ZYYJ) for X-Plane is now available to download at the XPFR website. New virtual cockpit previews have been posted from the upcoming ATR 72-500 for X-Plane.